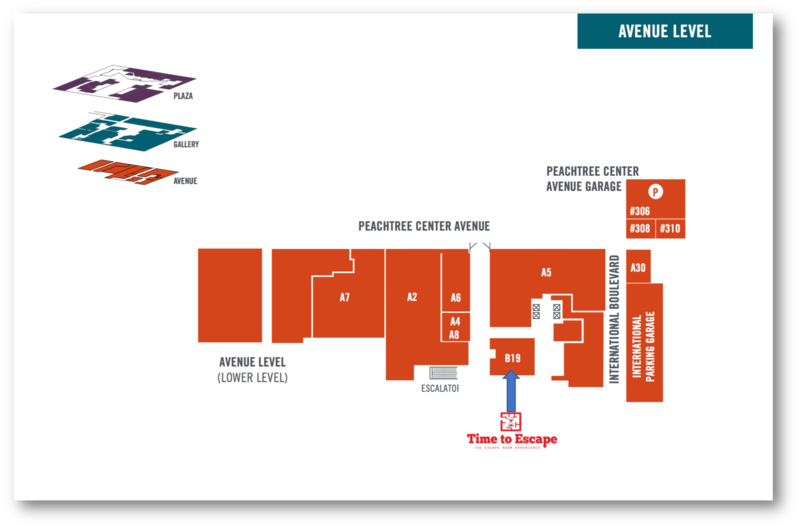 The Hub, an underway re-brand and overhaul of The Mall at Peachtree Center, could include a new location of Time to Escape. Plans last week were submitted to the City of Atlanta to buildout the escape room concept in suite B19 of the downtown mixed-use development. Daniel Cleveland, owner of Time to Escape, in a telephone interview Monday told What Now Atlanta he was "looking" at expanding downtown and that the plans were preliminary. An estimated $50,000 would be spent building out the 2,219-square-foot escape room on the Avenue level of The Hub. Time to Escape has two existing locations, one locally in Brookhaven and an outpost in Chattanooga, TN. In Brookhaven, the concept features story-oriented themes like Escape from Alcatraz, King Tut’s Tomb, and an Al Capone Speakeasy called Feelin' Lucky. string(46) "231 Peachtree Center Ave NE, Atlanta, GA 30303"